Shark is a brand developed by Euro-Pro Operating LLC. Euro-Pro has its roots in home appliances and began in Europe over 100 years ago but now operates out of Massachusetts. Shark products are popular in the US and Canada and include sweepers, steam-mops and vacuum cleaners. 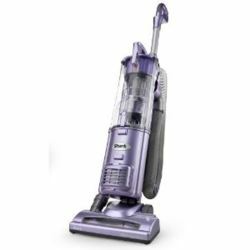 We have reviewed their steam-mops, upright vacuums and stick vacs and consumer ratings for these products are often very good. Several Shark vacuums have made our "best" lists. The Euro-Pro Shark NV22L Navigator gets great reviews, has a solid 5 year warranty and can often be found for under 200USD. This is our first look at a Shark vacuum but after repeatedly seeing good reviews and ratings for this particular model, the Euro-Pro Shark NV22L Navigator, we decided to dig a little deeper. We were not disappointed.